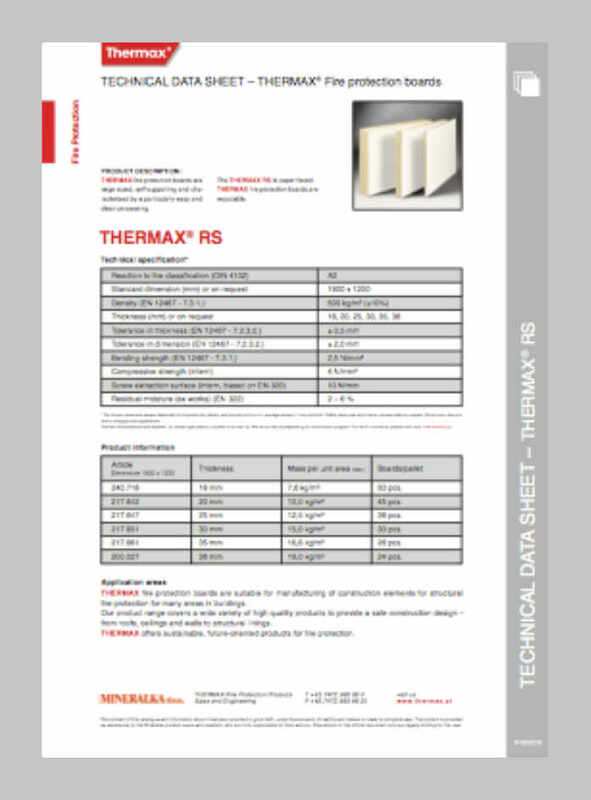 Our documents can help you even more. 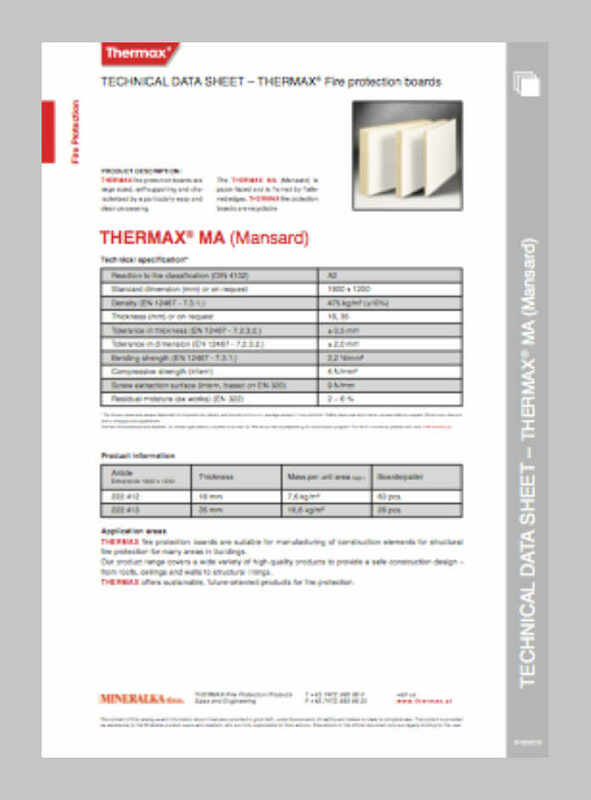 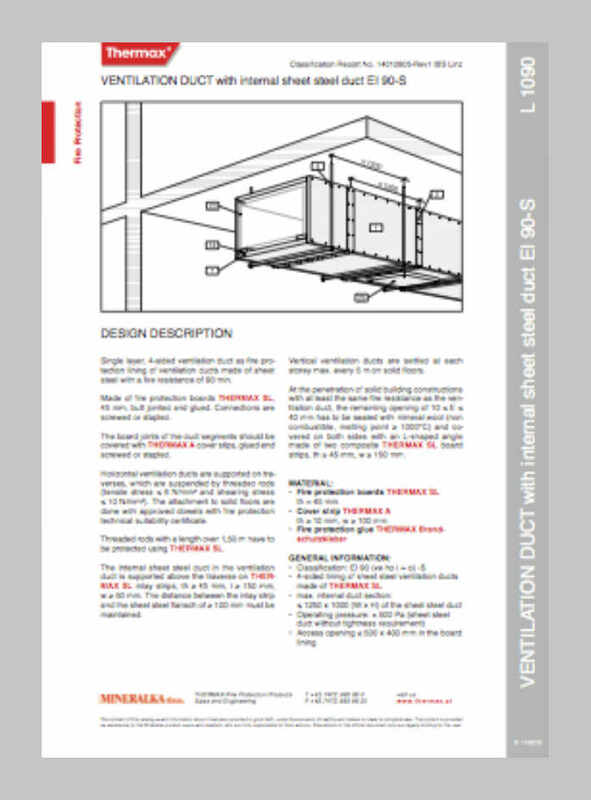 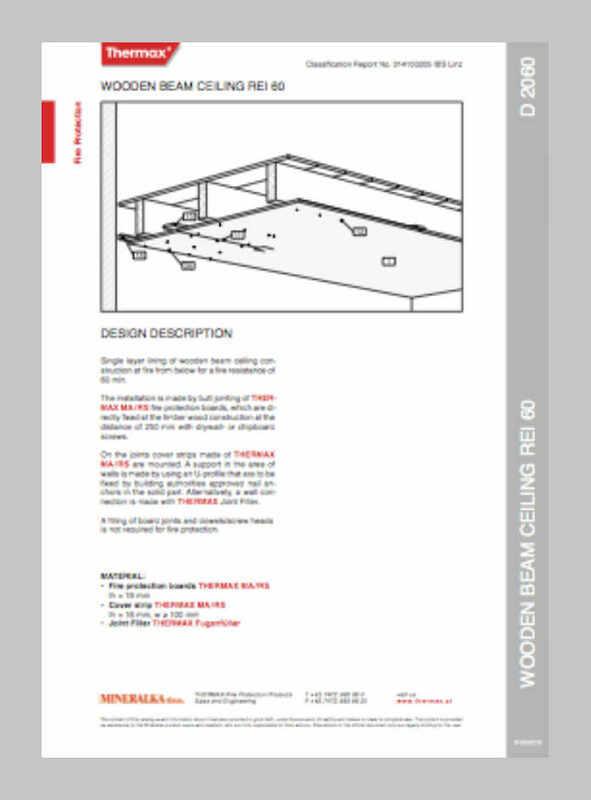 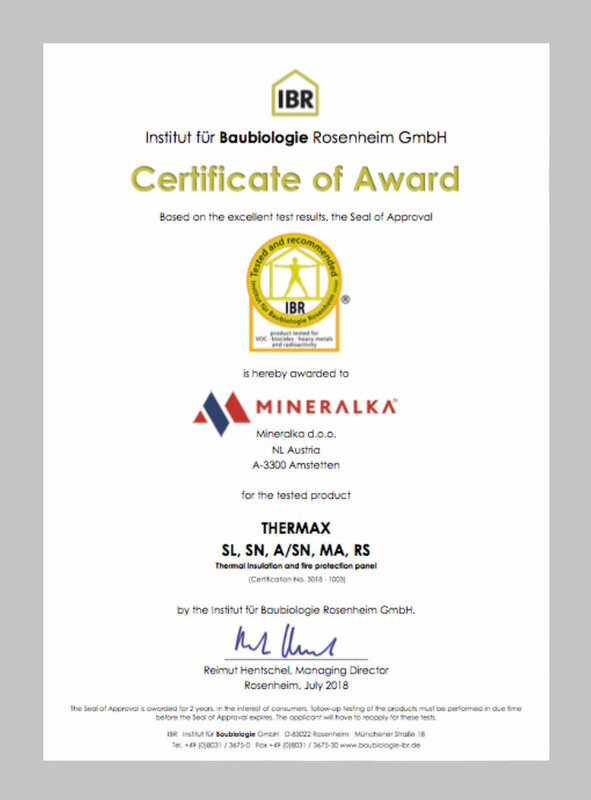 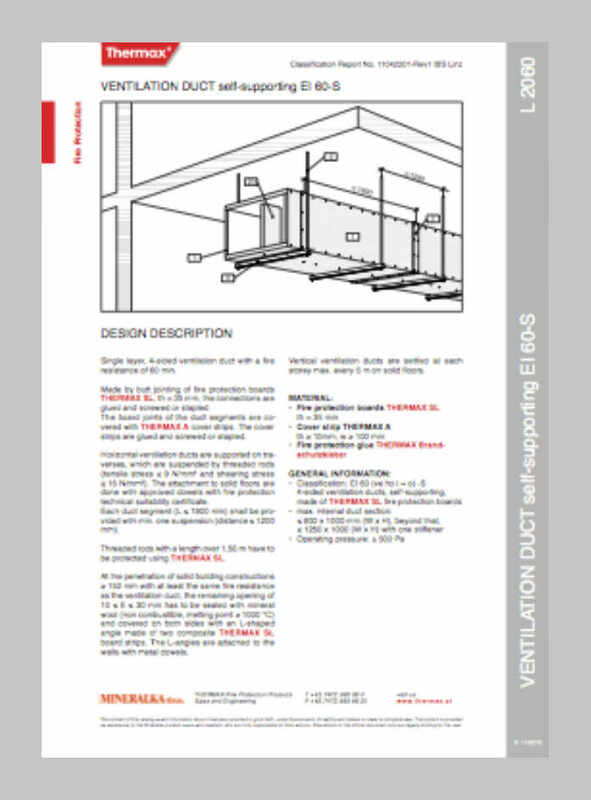 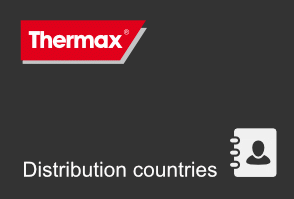 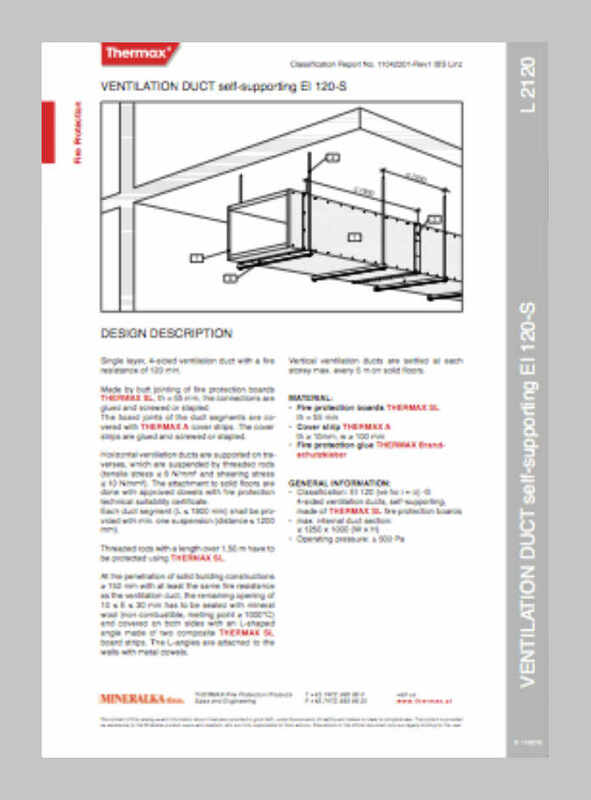 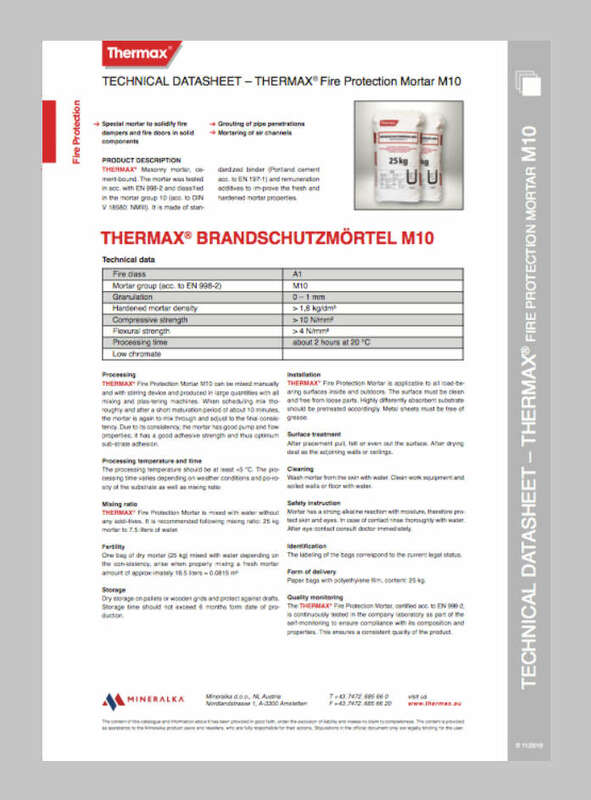 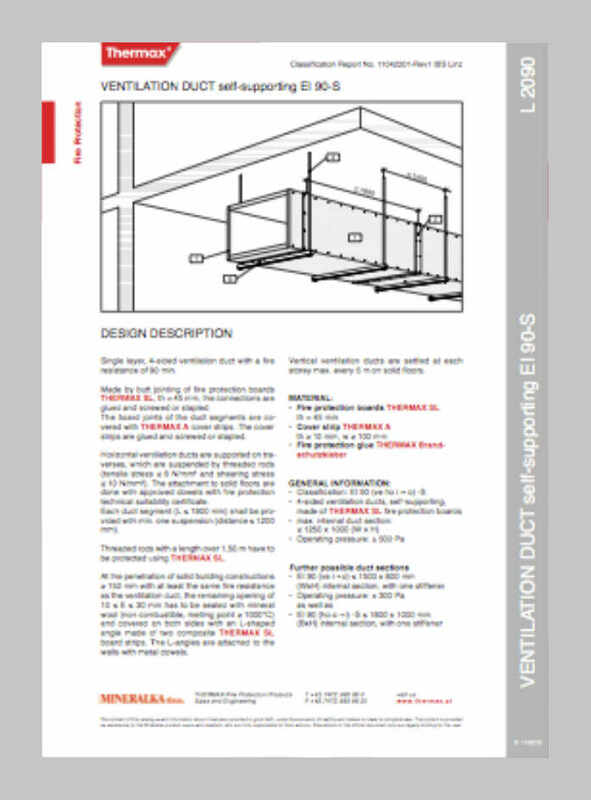 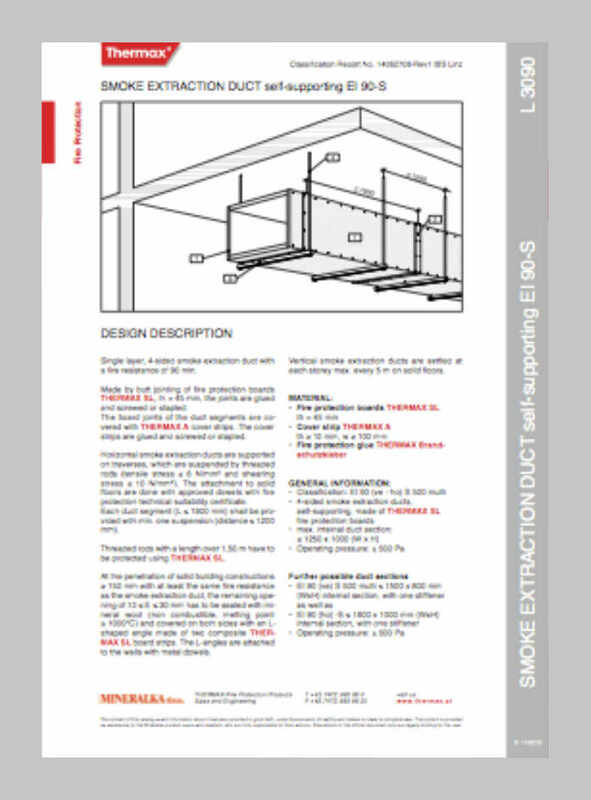 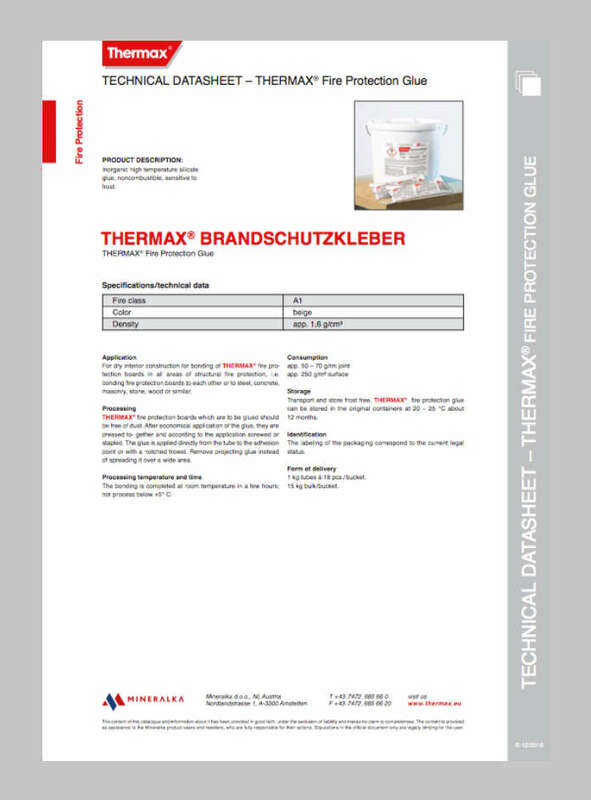 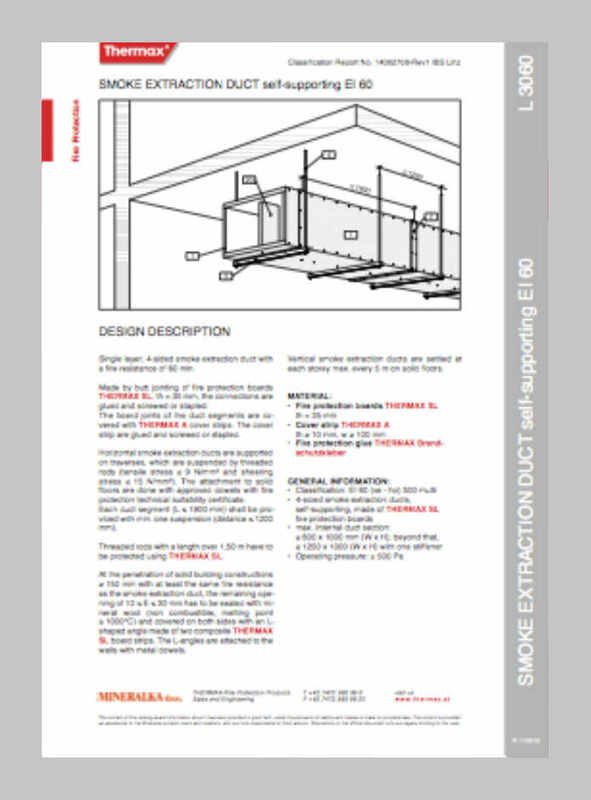 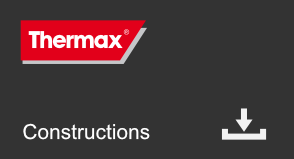 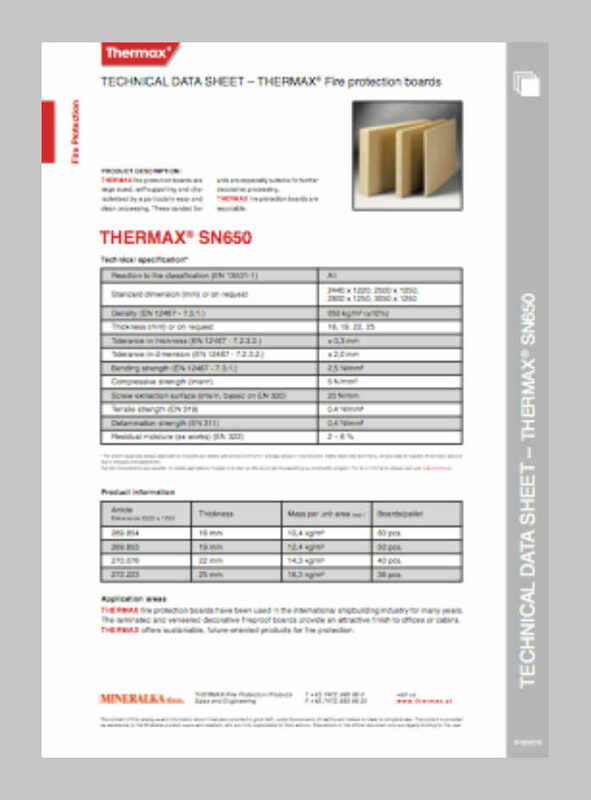 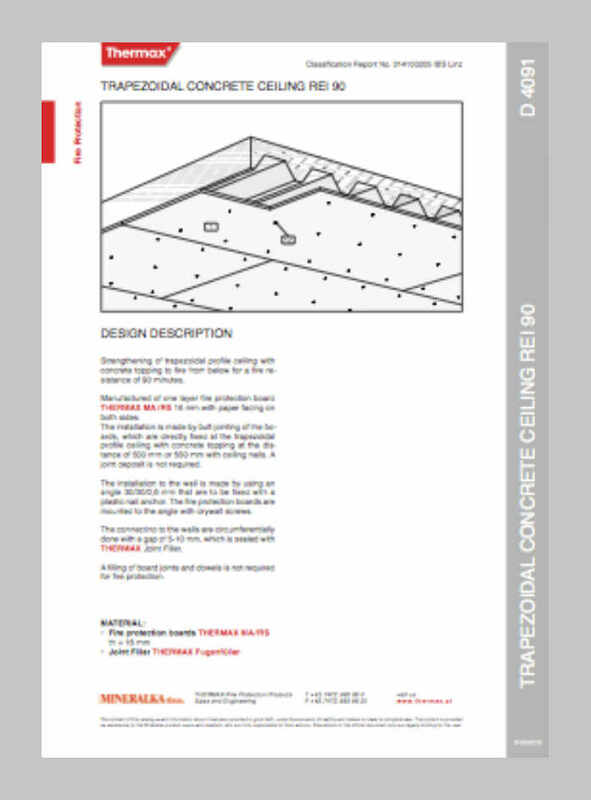 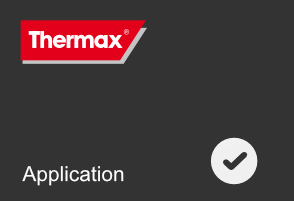 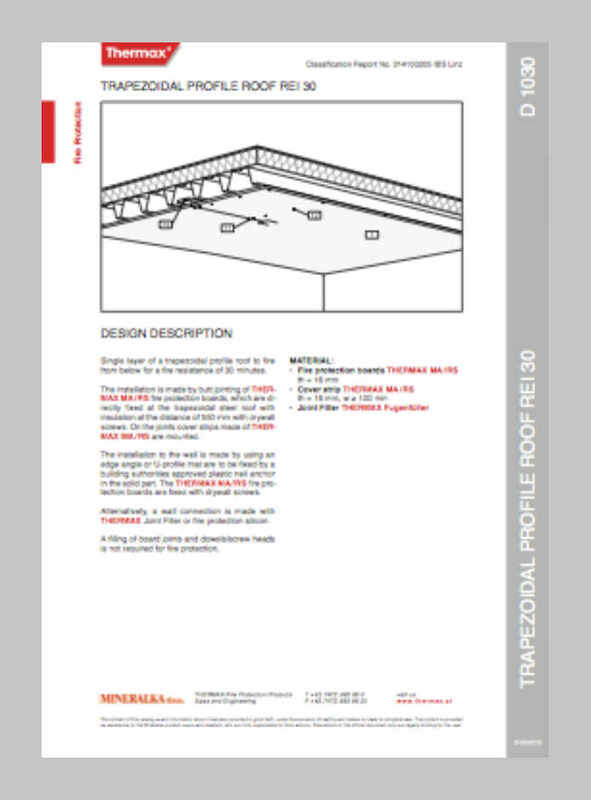 You can find THERMAX® product descriptions, examples of use, construction descriptions with CAD drawings, safety information sheets and processing instructions here. 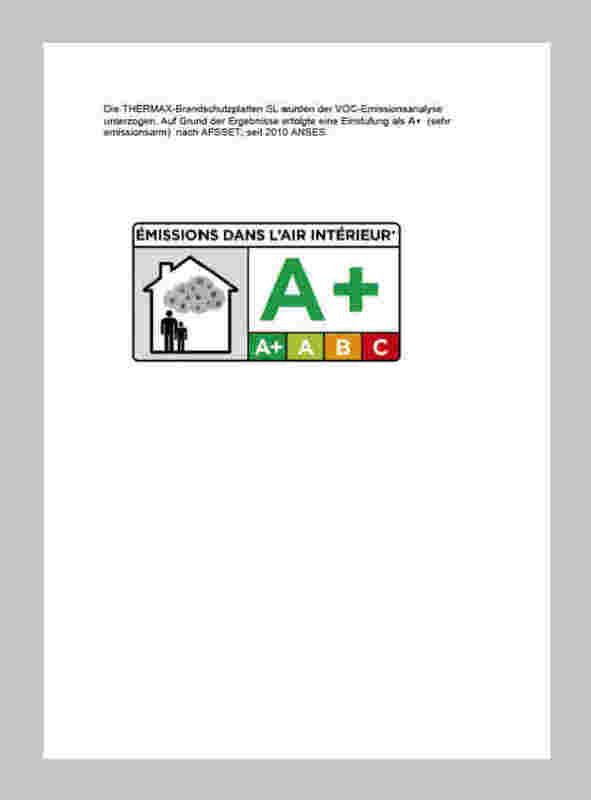 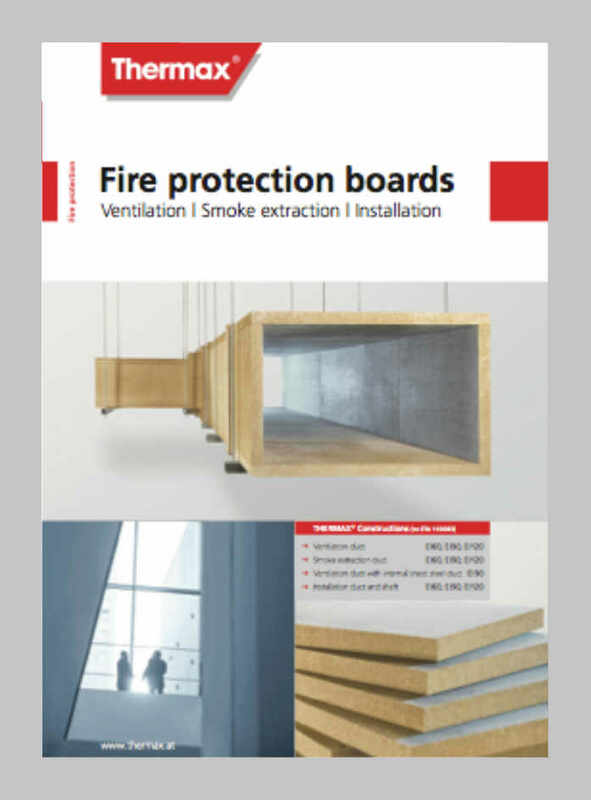 Please read the documents for your region to find out which regional features you need to bear in mind, especially concerning fire protection. 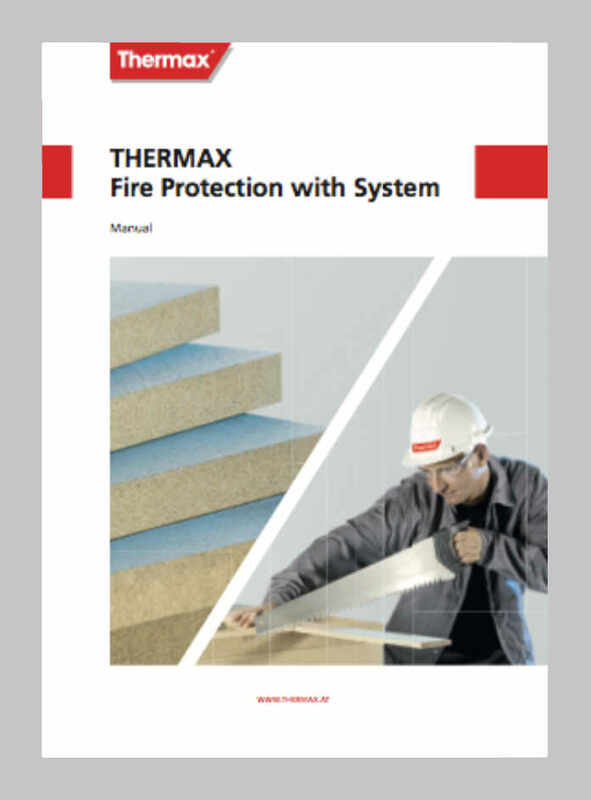 THERMAX® for decorative fire protection in building construction and shipbuilding. 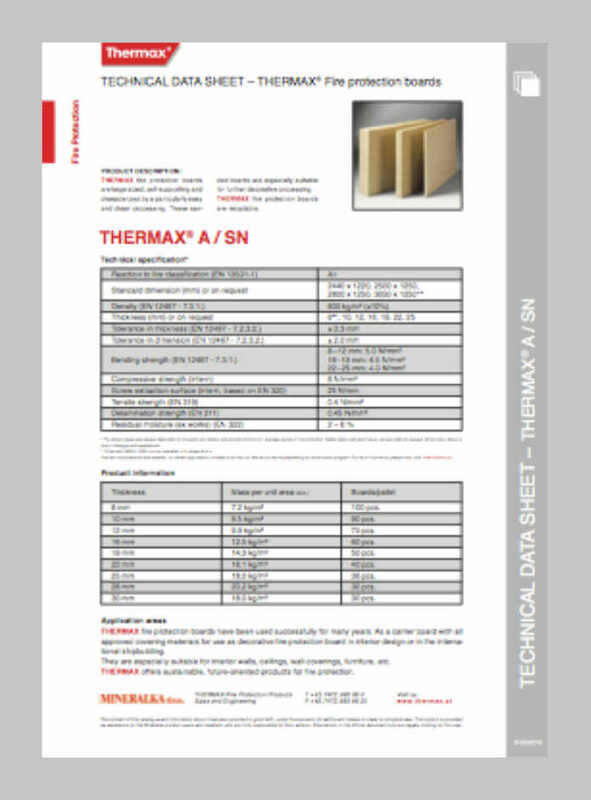 Carrier board for all approved covering materials. 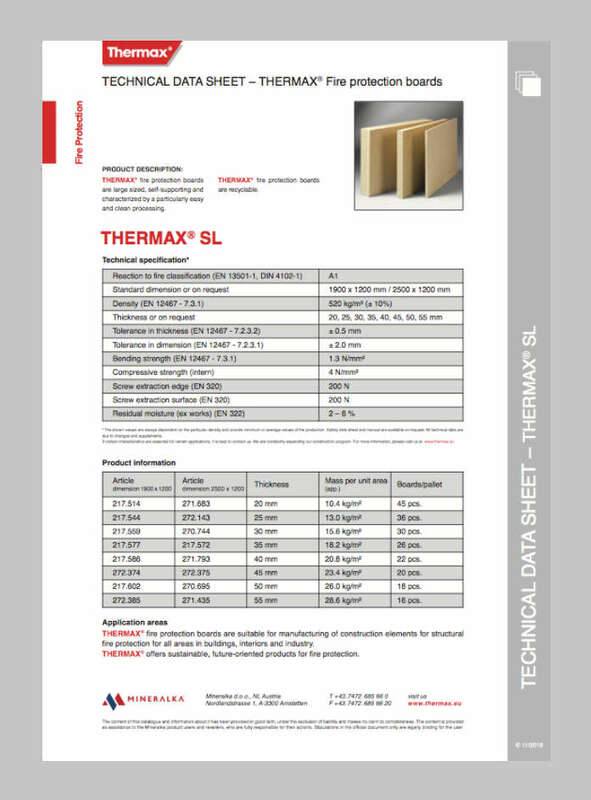 The leightweight, paperfaced boards are particularly suitable for trapezoidal profile roofs, beamed ceilings and roofs. Furthermore, the lining of structures (steel columns and steel beams) can be carried out as well as independent ceilings, inlaid ceilings or shaft walls can be built. 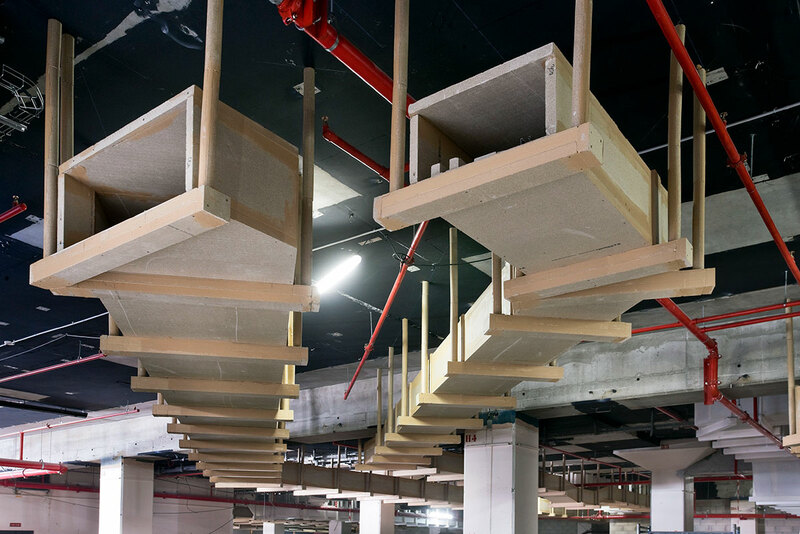 MA-boards are framed by flattened edges. 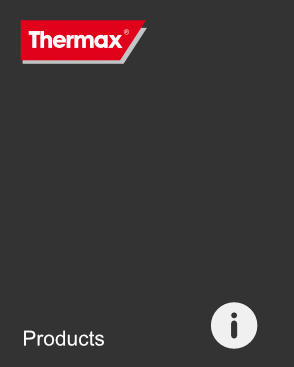 Ventilation and smoke extraction ducts as well as installation ducts are constructed with the boards THERMAX® SL.